Many incoming 6th graders thru outgoing 8th graders gathered Sunday evening at WFAC for the first of two SPLASH BASHES this summer...another one coming up in July. 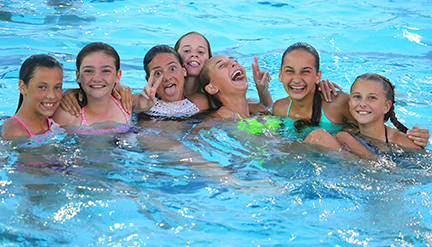 The two hour after sunset event features plenty of fun swimming with your friends, eating pizza and just enjoying summer and all it has to offer, especially when your 12-14 yo's! Looks like everyone had a great time - the temps are going to climb this week, all the more reason to spend those HOT days in the water at WFAC - opens daily at 1PM!